Cayisa's Blog | Responsible. Sustainable. Fashionable. Introducing the story behind Our Frankie Collection. Our love for nature using nuts and seeds to create beautiful jewelry doesn’t stop there but digging into the history of how oils have been used to heal and anoint people through time. What does oil have to do with jewelry you may ask? Oils are extracted from different plants, trees and even berries…Most of our collection is comprised of a well known berry açaí. It’s many healing properties are wildly known and has grown in popularity. You may have seen açaí fruit bowls, juices, berries, bars and the list could go on and on. This week we are diving into the process of beautification during the time of Esther and looking into the specific oils used and their benefits. As we arrive in the season of Purim we reflect on the book of Esther and the road she was on before she became Queen. I’m turning this over to Sage as she like me has a love for all things essential oils. Oils have truly been a blessing in my personal life to help fight off colds, coughs, and anything that comes my way as a busy mom of two. We hope you enjoy hearing the history and uses of a few essential oils. Preface: How informed are we of other religions? We really only know what we see from the outside, in the news or what our parents have told us. Sometimes we’ll stumble on a picture of a bat mitzvah or our favorite show will incorporate aspects of a religion for diversity. It comes in waves yet we know very little about what we do not practice. One of the missions of the Cayisa blog is to inform readers about the history of our company and why are so adamant about relating bracelets back to Bible verses. But this is our purpose. Me: I love English papers and MLA. Do you read the paper? Because this post may be like reading one. So, prepare yourselves to learn. Heregoes! This one is dedicated to you history-lovers out there. A great deal of Cayisa’s biblical influence comes from the book of Esther and the idea of employing a life as a ‘modern-day Esther’. See my last blog post “Introducing: Sage” for a bit of background on our take of this ‘modern-day Esther’ concept. Coming soon, we will have some sneak-peeks of our new Esther stack. 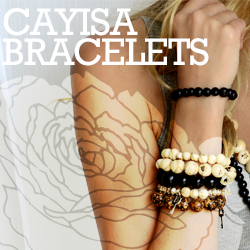 Check the blog for updates or follow our Instagram feed (@cayisajewelry)! Even if you are not religious, reading the Bible as historical nonfiction is necessary to understand religious traditions and cultures in your own community. For example, there are three pilgrimage festivals believed to be celebrated by all Jewish branches: Passover, Rosh Hashanah, and Yom Kippur. According to the Torah, these particular Jewish holidays were chosen by God in Deuteronomy 16:16. Yet Hanukkah is identified as a minor feast, even though it is arguably the most recognized Jewish holiday by non-Jews. It is absolutely overwhelming to me how little we know. You can learn more about the three pinnacle festivals here. Purim is the celebration of the God’s deliverance of the Jews in the book of Esther, and another minor feast in Jewish tradition. Yom Kippurim literally translates to ‘a day like Purim’. If the minor feast Purim preceded and evoked one of the three pinnacle feasts, then I would argue it is worth looking into. As Purim is celebrated March 20-21, Hannah and I will be doing our own research and including some of our stories to relate to this traditional feast. And the way culture has morphed and is celebrated today is so interesting! But first, some perspective. Let’s look into the history of Purim. The Old Testament has recorded the entire history of the exile and reentrance and deportation and re-admittance (and so on) of the Jews dating back to 605 B.C..
Haman was King Xerxes’ right-hand man. Haman wanted to exterminate the Jews because of an outspoken Jew in the community, Mordecai. Mordecai brought many to Judaism. Esther was chosen to be in new queen when Haman exiled his wife for not doing his will. Esther was also a Jew. Haman, not the King, decreed that all Jews would be annihilated under the King. Esther, queen elect, exposed Haman to Xerxes. In effect, the Jews were delivered from a holocaust and also uplifted as the ones chosen by God in their community as they once were outcasts. As mentioned earlier, the condemnation of the Jews began as early as 605 B.C., while King Xerxes ruled from 486-465. Xerxes’ deliverance of the Jews, through the grace of God, was a huge step in Jewish liberation. Okay, now some modern application. Maybe Purim is a little-known tradition in Judaism; maybe it isn’t celebrated in every Jewish household like Hanukkah or Rosh Hashanah. But what significance is it today? Purim is celebrated from the evening of March 20 to the evening of March 21. It is often described as a carnival-like holiday when everyone dresses up and the book of Esther is reenacted in remembrance of the deliverance of our Jewish ancestors. Other events of the holiday include families baking pastries for friends and giving gifts to the poor in the community. The day is ended with a huge festive meal for the community. For two days, Jews celebrate the religious deliverance from extermination in Persia over two and a half millennia ago. The ancient tradition applies today as a celebration for the combatting of social injustices and anti-semitism. Today, many faiths have to fight for freedom to practice religion. This is a huge issue. As a Christian, I come into a lot controversy and , especially at university. Worldwide traditions like Purim are a bit of an encouragement. To me, Purim is an encouragement that deliverance from social oppression in religion have happened and will happen again—both the oppression and deliverance. We will be able to freely practice tradition in our religion in this amalgamate culture. Next, I want to take on the theme of deliverance from my own perspective. And I gotta tell ya, finding myself on the ledge of a roof in Iceland taught me a lot about needing deliverance. For now, I have to leave you hanging. Check back later this week for more on that! It is a pleasure to write to so many strangers, but I hope not to remain one for long. My name is Sage and I am thrilled to serve you by sharing the beauty of God’s nature and my experiences in it with you, alongside my fantastic friend Hannah. 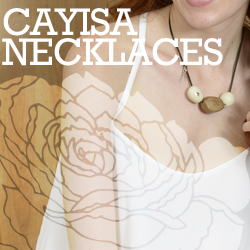 We were recently invited to manage social media for Cayisa. Hannah and I hope to inform you about the Cayisa project and our products with the personal insight of a friend, dictated in real stories from real people. So here is me, summarized. Stargazing is my favorite thing; sleeping is my least favorite. I want to be up doing something at all times. I would just count shooting stars on my back all night if my research papers and lab reports would write themselves. Currently, I am a freshman at East Carolina University, double-majoring in Neuroscience and Psychology. I plan to practice clinical psychology with a focus in energy therapy. This means I primarily practice using essential oils and natural methods of healing as opposed to biomedicine. I love being outdoors, mountain biking, identifying tree species. My feet are my favorite part of my body. Rules and guidelines really annoy me, but my guilty pleasure is MLA. Spanish music dominates my Spotify while Annie Dillard’s autobiographies bend my bookshelves. God is love, therefore we must love. Love is a sacrifice. Being in nature, to me, is being in God’s presence. It is still yet voraciously alive. It is lonely yet were not alone in it. Below is an image of how I view heaven. Basic. Simple. Whole. Right back down to the elements. It is a place devoid of Cain and Able or horse and buggy or calculus. An image of time before Mayans predicted the end of it and before the Tide Pod pandemic. 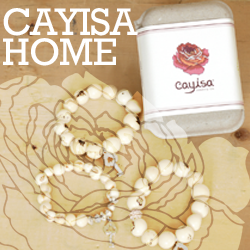 Like a root growing up from the beginning of time, its connection to my love of natural living and healing drew my interest in Cayisa. We are not just a jewelry company, but also a heart ministry. It is not a string of seeds that you are shopping for, but a reminder to live like Esther. Later on, I will expound on how I have been influenced to live as a modern-day Esther. Sitting in God’s creation, absorbing His spirit, has given me peace and restored faith. These seeds are a reminder of those lessons nature taught me. Now it is 2 pm and a beautiful day outside, so, until next time! Hello friends! My name is Hannah and I was recently hired, along with my good friend Sage, to be one of the social media managers for Cayisa! I’m hoping that we can turn this blog into more than just an inspirational place, but one where we share our own life experiences and relate that to Jesus and how He is working in our lives. Our mission is to delve into what true beauty is and how we incorporate that into our fashion, music, and overall lifestyles. Here at Cayisa, we think true beauty is shown clearly in the story of Esther, so her crown has become our mascot. Personally, Esther is my favorite book of the Bible, and I think it’s a perfect example of being faithful until the end. I’m going to write a full blog post on Esther, so I won’t go too much more in depth here, but if you want to learn more, stay tuned! I want to be fully transparent with you, whether that means sharing the valley highs, the mountain lows, or just seasons of in between. That being said, I wanted to take this opportunity to introduce myself and tell you some fun little-known tidbits. For reference, this is me! 1. I am currently studying Small Business Marketing at Pitt Community College and plan to transfer to East Carolina in fall of 2020 to finish my degree. 2. My goal is to own a floral/coffee shop. I love flowers and the way they can make any space just look so dreamy, and I love the way coffee brings people together, so I thought, why not mix my two favorite things into one super artsy little shop? 3. While I love flowers and coffee, music is my passion. Music may be the only thing I really know how to do. When everything else in my life is crumbling around me, I still hear a little song in my head reminding me of the goodness that life has to offer. This is really what brought me to God and helped me to understand what it means to have an intimate relationship with Him. 2. I have little birth marks on the whites of my eyes. My mom says it’s the Asian in me, but I’ve never had the motivation to do the research on that. 4. The first thing on my bucket list is to one day own a Volkswagen Type 2 Van… which is one of these babies =====> Nice right? I KNOW. Complete with hanging dice on the rear view mirror. I think that hits all the main points. Other than that, I love community. I love being with friends, new or old. My friends make fun of me because I call the parties I have “small intimate gatherings”, but I think that really is my heart in a phrase. I love to bring people together and watch them laugh and enjoy exchanging stories. Nothing makes me happier than seeing some of my friends become friends with my other friends (if that confused you, just read it again). I love Jesus first and foremost, and He has completely permeated everything that I love. I am learning how to use those things to glorify Him, and it has been quite the adventure, let me tell you. But I’m absolutely stoked that I get to type out all of my thoughts and experiences here on this blog. 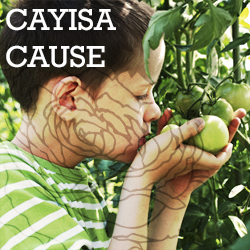 Thank you so much for reading and supporting Cayisa, it means the world to us. We strive to share the grace that is shown to us through our Heavenly Father, and we proudly stand by the banner of His word and love. It’s currently 1 am, so I am signing off. Until the next post! Welcome to another week! If you over indulged this holiday weekend or just need someone else to think about the practicalities on your behalf, look no further. Sometimes, in the midst of routine, we forget to take care of our bodies. But eating well, flexing our creativity muscles, and making time to rest is so important. Here are some ways to be good to yourself over the next few days! Just click each image below for more information. And be sure to check back for more ways to live healthfully!